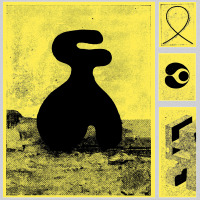 Multi-instrumentalist Joe McPhee has long favored intimate performing situations that highlight the subtle nuances of timbre, volume and dynamics, confirmed by an extensive discography comprising solo, duo and trio recordings. 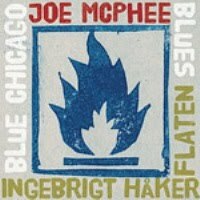 His duet with Norwegian bassist Ingebrigt Håker Flaten (Atomic, Scorch Trio, The Thing) on Blue Chicago Blues is a prime example of the sort of spare setting McPhee has championed since the mid-1970s. 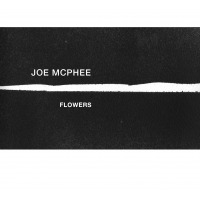 A veteran of numerous tours with The Thing, McPhee has developed an empathetic rapport with Haker Flaten, making this austere date an interesting companion piece to Tomorrow Came Today (Smalltown Supersound, 2009), McPhee's similarly vibrant duet with the trio's drummer Paal Nilssen-Love. Dedicated to the late great Chicago tenor Fred Anderson, this stripped-down session offers a deconstructed view of the blues at their most emotionally raw and honest, ranging from resigned despair to indignant rage. McPhee and Haker Flaten elicit a plethora of moods on their journey, from the subtly hypnotic opener "Truth In The Abstract Blues" to the calamitous onslaught of "The Shape Of Blues To Come." 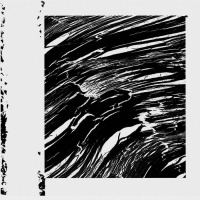 The former tune caresses an infectious five note motif into a slow-burn climax, while the later progressively intensifies into a nervy torrent of piercing harmonics and multiphonic cries. McPhee's simultaneously sung and keyed vocalizations on the somber "Requiem For An Empty Heart" exude a pathos that transcends instrumental techniqueevincing the blues at its most primal. Embracing a diverse array of approaches, "I Love You Too Little Baby" and "Cerulean Mood Swing" revel in bristling exchanges, while the contemplative finale, "Legend Of The Three Blind Moose," invokes the spiritual tranquility of late-period John Coltrane with serene, mantra-like refrains. Though willfully abstract in comparison to conventional interpretations, McPhee and Haker Flaten's commitment to the blues is palpable. Blue Chicago Blues is grounded in the same core principles that bequeathed I-IV-V chord progressions and flatted notes, celebrating an enduring tradition in its endless capacity for emotional expression. 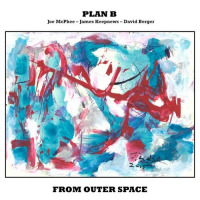 Visit Joe McPhee and Ingebrigt Haker Flaten on the web. Track Listing: Truth In The Abstract Blues; Cerulean Mood Swing; Requiem For An Empty Heart; I Love You Too Little Baby; The Shape Of Blues To Come; Legend Of The Three Blind Moose. 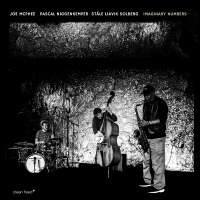 Personnel: Joe McPhee: saxophone; Ingebrigt Håker Flaten: bass.